What can disqualify you from getting your passport application denied? What can disqualify you from getting your passport application denied? What can disqualify you from getting a passport? 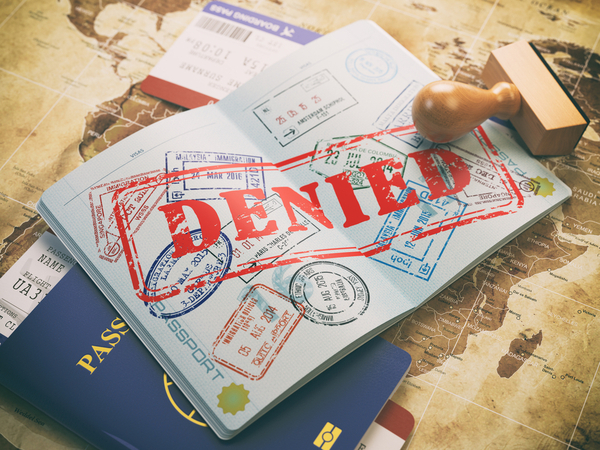 There are plenty of reasons for a passport application denied to occur. So, not every applicant will get a passport after submitting the documents and paying the fee. Apart from getting a notice of denial, your money will not be returned to you. Before you submit an application and fee, read this article to be sure your application will not be denied. The most common reason for an application to be rejected is submitting a form with incomplete documents. Read the instructional guideline that is with the form to get all the information about the supplemental documents when you are completing your application. Completing the form is part of the process. Without the supporting documents, your application will be denied. One of the supplemental documents is passport size photo. The State Department has stick guidelines that you must abide for your photo. Some applicants prefer to take the picture instead of paying for it. The cost of a photo is not that expensive at a Walgreens or CVS. It is best to seek a place that is aware of the criteria so that your application is not rejected for this sole reason. If the application is for a minor, both parents are required to participate in the process. If one parent is absent, then a consent form must be included with the application. Whether the absent parent is involved in the minor’s life or not, proof must be given to complete the application process. When a consent form is missing, the application will be denied. An application without a signature will result in a denial. Small as it may seem, you must carefully review all your documents before you submit them. It is best if you complete your application in one sitting instead of over some time. If you are applying for a child who cannot sign his or her name, then you the parent must sign on the child’s behalf. Do not leave it blank. Other supporting documents are essential to submit to prevent rejection. These documents are in different forms of identifications. First-time applications must send copies of an ID card such as a driver’s license or state-issued car. The copy must be of the front and back of the card. For a minor, the official birth certificate must be submitted. The State Department has a list of additional supplement identifications to send if you cannot provide the initial ones. Parents who owe child support cannot get a passport until proof is provided that arrangement of payment is in process. The laws in regards to child support vary by state, check with local authorizes to see how you are affected by this. Probation or felony problems will also deny your passport application. It is undeniable that if you are on probation and in some cases, you cannot leave the state or country. Similarly, if you commit a felony, you will not get permission to travel outside the United States. In some instances, some applicants may still get a passport. However, the better chance of getting it is to hire a passport expert to complete the process on your behalf. If you do not have any of these issues, you will likely get a passport the first time you apply for one. However, if you do it is best, you hire a passport expert. An expert, for some reason, is more familiar with the process and can help. When you apply, and you use the post office, the average processing time takes 4 to 6 weeks. You will also have an expediting process that will get you a passport in 2 to 3 weeks. However, expeditors can get it in less than two weeks and even in 24 hours. It is an option to consider if you are in a rush to travel.